Given below is a brief interpretation of Jim Morrison's birth chart. 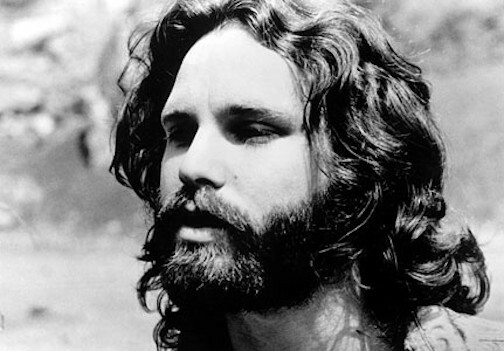 The major themes in Jim Morrison's life are described. The themes are presented approximately in the order in which they are a priority inJim Morrison's life. In other words, the themes which are most important are, in general, described near the beginning of the report, and the less important themes are described towards the end of the report. Note: Each astrological influence described in this report is a resource available to you. It is up to you to express these energy patterns in the best possible way. It is possible to repress, block, or try to avoid issues, or to fight yourself; hopefully this report will help clarify issues in your life, and encourage you to master your life rather than be a victim of circumstances. Sometimes you feel alienated and distant from others. You seek solitude, although too much distance from others can also bring on feelings of depression and loneliness. You need to find the right balance to make your life work; this will not be easy to achieve but perseverance and confidence that the effort is worth it will repay you in the end. You can succeed in an area that requires you to interact with a lot of other people, because people find you to be very approachable. You have a friendly, easy-going disposition that makes others feel welcome and comfortable around you. You are methodical and logical. In elementary school and even in high school, you may sometimes have felt that you are a slow learner, but actually it is only your insistence on gaining a thorough, complete, and logical understanding of a subject that caused any problems. Other people are content with relatively superficial explanations whereas you often seek a level of clarity that even the teacher may not be capable of providing. Your quiet, structured, and disciplined approach to learning can help you excel in many areas as long as you have the self-confidence and patience to allow yourself to master the material. Performing daily chores bores you, but if something captures your imagination, you can work fanatically without taking time to even rest or possibly even to eat. You can be successful in an area that allows you to apply yourself with the complete dedication that you are capable of. You enjoy an atmosphere or mood that is enchanting or unusual. It is likely that music is very important to you because it transports you to a world of imagination, dreamy moods, sentimentality, or possibly even mystical feelings. You have a colorful imagination, although it may be difficult for you to express the subtlety of feelings and impressions that you experience. You have good artistic sensitivity, and you are able to discriminate between items that are well-made and therefore of greater value and those that are not as well-made. You communicate well and are able to express your feelings openly and candidly. Very often you are encouraging and supportive of others. You enjoy lively music and dance. You have a good sense of rhythm and probably you have an infectious laugh. You enjoy jokes and tricks. It is likely that you will fall in, and out of, love several times before "settling down" with one person, so it may be best if you do not marry to early in life. Although you are romantic, you do not like to feel smothered or too restricted by your partner. You are idealistic and dreamy in romance, and it is likely that you will be disappointed at least once by others when you wake up from your love dream to see the other person more clearly. Music and art are important for you, and it is best if your home is imaginative and beautiful; living near water, for example, suits you well. You enjoy experiencing different cultures and ethnic styles. It is good for you to travel and to have many different kinds of friends. You can be successful in the entertainment industry or in any field that requires a lot of imagination and vision. You are a bit of a dreamer and a philosopher. You have a good sense of rhythm, and you have talent in music and/or dance. You also have a good sense of humor, and when you are in a good mood, you put everyone in a good mood. Very often you are the life of the party. You dislike pettiness and you like to do things in grand style. You like to give big presents, and you appreciate things that are of very high quality. You have a knack for drawing success to yourself, and others may think of you as being lucky. You have some conflicting feelings when it comes to your love relationships. You want to be devoted and responsible to the people you love, but you also want to feel uninhibited, unrestrained, and free. Without realizing it, you may make loved ones feel that they are annoying you or bothering you. Try to be patient and calm while trying to resolve any relationship problems that you encounter. Your romantic and sexual energy is very strong. At times a relationship may survive based on sexual attraction, while mutual understanding, kindness, and love are not as easy to find. If this happens, it is best to not make long-term commitments until a more complete and satisfying relationship is clearly possible.